This card is issued by and remains the property of Odeon Cinemas Limited (Company No. 1854132) whose registered office is at St Albans House, 57-59 Haymarket, London SW1Y 4QX ("ODEON"). Use of this card constitutes acceptance of these terms. Nothing in these terms affects your legal rights. This card can be used at participating ODEON and ABC branded cinemas in the UK. It can be used in cinema or online at www.odeon.co.uk to pay for tickets. 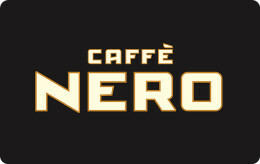 It can be used in cinema to pay for food, drink and most other retail items. It can be used to pay for tickets (in cinema and online) for The Lounge at Whiteleys but it cannot be used to pay for any food or drink in the Lounge at Whiteleys. It cannot be used to make purchases over the telephone. All purchases using this card are subject to availability, normal age restrictions, and any other applicable terms. For a list of participating UK cinemas and for details of any excluded retail items, please visit https://www.odeon.co.uk/privacy-and-legal/gift-card-terms-and-conditions/ or ask in cinema. ODEON reserves the right to change the list of participating cinemas and/or the list of excluded retail items from time to time. This card has no value until activated. 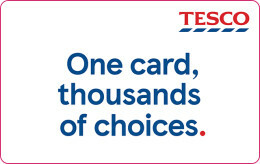 The maximum value which can be loaded onto this card is £100. You cannot re-load or top up this card with value. The value on this card may be used where the transaction total is higher than the card balance, upon payment of the difference. If you do not use all the value on this card in a transaction, the remaining balance will be left on the card. No change will be given. If a transaction made using this card is subsequently cancelled or reversed, any value owing will be added back onto this card. You can check the balance on this card in cinema or by calling 0800 888911. If this card is not used for a period of 2 years, any remaining balance of value on this card will expire. A balance enquiry does not constitute use. Please keep this card secure, as if it were cash. ODEON is not responsible if this card is lost, stolen, destroyed or used without permission. ODEON reserves the right to cancel this card if it reasonably suspects fraud or misconduct. Damaged, altered or cancelled cards will not be accepted. This card is not a credit, debit, charge or cheque guarantee card. 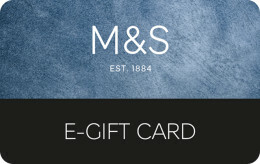 This card cannot be exchanged for cash or for other vouchers/gift cards. This card is for your own personal non-commercial use. You may not resell this card. All copyright, trade marks and all other intellectual property rights in and in relation to this card shall at all times remain the property of ODEON or its licensors. ODEON reserves the right to assign these terms to another company in the same group of companies as ODEON or to any business which purchases or is integrated with ODEON. ODEON reserves the right to amend these terms from time to time, to ensure compliance with law or regulation, for security reasons or to make non-material changes, and the amendment will be effective when posted online at www.odeon.co.uk. We may also change these terms to reflect material changes to the gift card scheme, but we will post any material changes to these terms online at www.odeon.co.uk at least 30 days in advance, and if you are not happy with these material changes, you can terminate your agreement with us for use of the gift card under these Terms no later than 90 days after the material change takes effect. 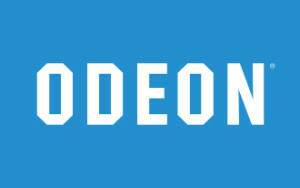 ODEON reserves the right to suspend or discontinue the gift card scheme on reasonable notice for legal, security or regulatory reasons, and any such action will be announced online at www.odeon.co.uk. Reasonable notice will be given where possible. Founded back in 1930, ODEON is the largest and best-known cinema chain in the UK and Ireland. And, famous the world over, ODEON Leicester Square has hosted over 700 of Europe’s biggest film premieres since the 1930s. To use your ODEON digital gift card code to purchase your ODEON ticket at the box office, print this email including your voucher code and give this to the cinema box office.